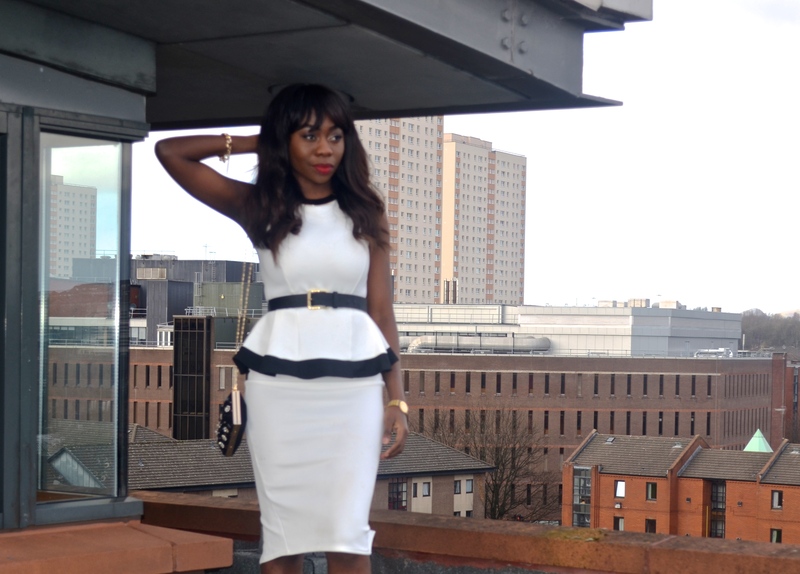 I’ve never really owned a peplum dress, Even when it was the most worn trend, I just never liked it… But as soon as I laid eyes on this dress I knew it was Love at first sight (Besides the fact that its black and white, my fav!). A number of people thought it was a top and skirt, but its a dress! I paired it with sandals, a thick belt (because of the taping at the base of a peplum) and Red lipstick…..
Hope your day is going well, Have a blessed week ahead..
← DAVID SERIES EP1: I RESPECT BATHSHEBA! loveeee the dress. i take back every bad thing I’ve ever said about peplum. Love the outfit, and I love your rooftop photos too! i WANT this dress! I WANT his dress!!!! !